When teaching drums to beginners, one of the first things you’ll need to show them is how to hold their drumsticks. There are a few different grips you can use and they all have their strengths, weaknesses and most suitable applications. Personally when starting beginners I use matched grip (German) with first finger fulcrum, but whichever you choose to teach, the most import thing is to be able to describe it to your students in a clear, concise and memorable way. Before even thinking about playing a drum, you’re going to have to show your student how to hold the sticks. Some of you might never have really thought about how you hold your sticks. Perhaps you were shown in your very first lesson or if you’re self-taught, do what you’ve seen on videos or what feels right to you. 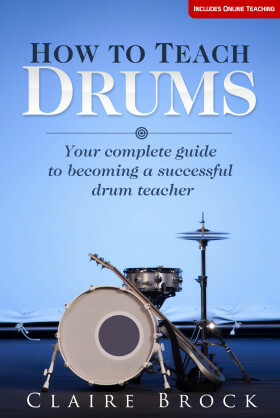 This is where I think teaching is great for every drummer as it actually makes you analyse what you do, especially technically, and can make you a much better player as a result. Look where the stick is in relation to your fingers and work out how to explain this to your students. Common issues I find are the students holding the stick too tight, not having any stick out the back of their hand (if there’s some markings/words on their sticks that happen to be in the same place as their thumb for example, I tell them to always look for that when holding their sticks) and pointing their first finger up the stick towards the tip rather than gently wrapping it round the stick. Once you’ve sorted these issues, it’s all about flicking from their wrists and getting a good rebound off the drum. Hopefully this has given you some things to consider when explaining how to hold drumsticks. Helping your students get their grip right from day one will make your and their lives much easier in the long run.